Finally, we are posted the results of the survey on related services and section 504 plans. For some reason, we forgot about this one. The good news is there were 343 responses and trends that were recorded. The bad news is many people answered text responses under the OTHER option so the results were a bit scattered. Please take a moment when done, to answer our current survey. Results for Question #1 on Related Services and Section 504 Plans: What is your job title? Here are the results of question #1 – what is your job title? 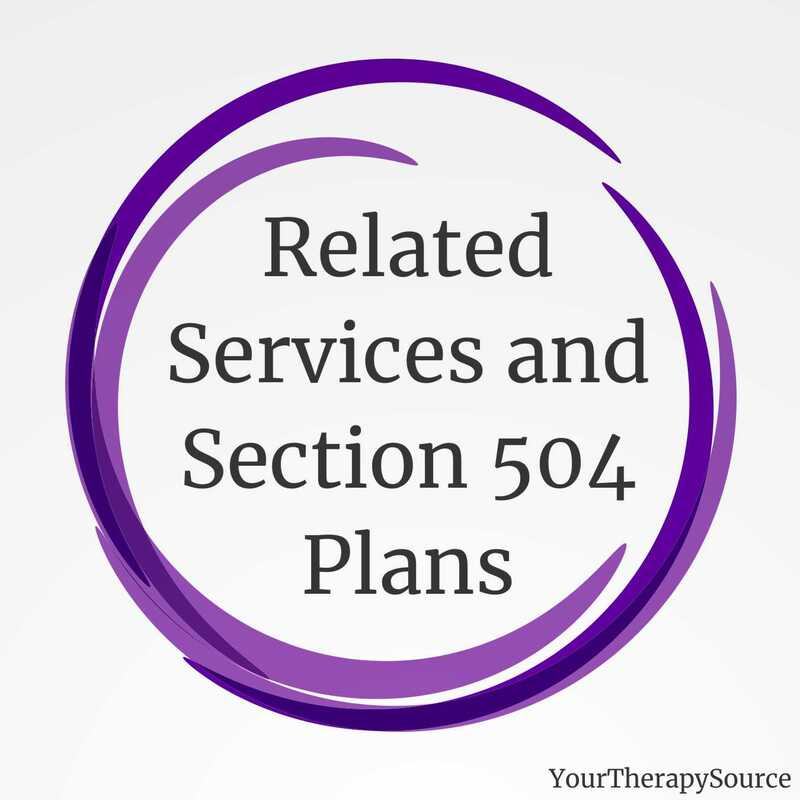 Do you provide related services to students with a Section 504 plan only? Here are the results for question #2 – Do you provide related services to students with a Section 504 plan only? 58.7% Yes, I provide related services to students with 504 plans only. 18.6% No, I do not provide services to any students without IEPs. 5.8% Yes, but the student receives related services under building level support not the 504 plan. The remaining 16.9% of the responses were other. Read more about Section 504 of the Rehabilitation Act at the US Department of Education website. Please take a moment to answer the current survey. Thank you in advance. 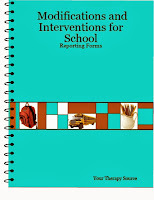 This book, in printed or electronic format, provides pediatric therapists with over 60, reproducible reporting forms with hundreds of suggested modifications and interventions for students. Track progress once modifications are put into action. Find out more information.